Dedicated to an active partnership with the community; striving to protect and improve the quality of life by listening to and serving the people of Elkhart Lake with pride and fairness. We will distinguish ourselves above all others as a professional policing organization that renders superior service that continually exceeds customer satisfaction. We will recognize the inherent worth of all and therefore treat everyone as they should be treated: with understanding and compassion. We will be responsive to the citizens and visitors of Elkhart Lake, serving them with the highest quality of policing service available in a caring and competent manner. We believe that integrity is character in action. We commit ourselves to elevated standards of trust, responsibility, and justice while promoting justice in a fair and impartial manner. Our actions are guided by the Law Enforcement Code of Conduct. We therefore recognize that our badge is a symbol of public trust and we will strive to maintain professionalism while serving our community. The core values are designed to inspire and guide each member of the Elkhart Lake Police Department. See our Police FAQ page to view our most comment questions. You can pay your tickets and fines online here via govpaynow.com. The Elkhart Lake Police Department now has a medications drop box. The secure box is located in the lobby of the police department and is available to have any pill medications dropped during normal business hours. This program is in cooperation with the Sheboygan County Planning Department, and is intended to keep old harmful medications from entering our water supply. Any old medications can be dropped off, still in the bottles, in the box and will be disposed of without charge. No other medical waste, syringes, or liquids should be dropped off. Any questions, please contact us. In the beginning there was ice, a glacier, doing its mammoth bit to the land, leaving behind as it retreated, the sands and stones, the pits and domes, which are called kettles and moraines. That is how it began, the lake known by the original white settlers as Elkhart Lake. Legend has it that the Potawatomi Indians, the original tribe of the area, called the lake “Me-shay-way-o-deh-ni-bis” or Great Elk Heart Lake. It was so called because of its general shape, resembling an elk’s heart, or so the legend goes. However, other Native Americans of the area called it, according to tradition, “Lake of Thunder” because of the cracking ice in the winter, and the incredible flow of subterranean springs that gave out a tremendous thundering sound. The Native Americans also believed the waters of the lake to have curative powers. They felt if they bathed in them, they would be “rejuvenated and handsome again.” To this very day, because of those tens of thousands of springs that feed the lake, it is considered to be one of the cleanest and surprisingly, the fourth deepest (116 feet) lake in the state. The community appointed its first law enforcement officer, on December 1, 1884, during the first village meeting. George Rosenthal was elected marshal and C.H. Mudrow, constable. Other marshals and constables followed, until 1951 when Benjamin Forsterling became Elkhart Lake’s first Chief of Police. The police department, during the ten years Forsterling was chief, used the Village Hall on North Lake Street; however, records were kept in his home. When Carl Wick took over in 1961, the department was run totally from his home. 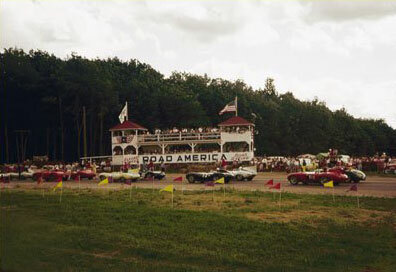 During this time, deputies were appointed to work Road America race weekends. It was in this time of turmoil that riots broke out in the streets of Elkhart Lake. Frequently the police would call upon the fire department to assist with crowd control utilizing fire department water trucks to “cool the people down.” Following an injury, John Zimmermann, Gilbert Collins, and Richard Andrews followed Chief Carl Wick during fairly brief periods. Throughout this time, calls continued to be taken at Wick’s home. In 1975 Tom Winscher was hired as a full-time police officer and within a year, became acting chief. Two years later, in 1978, Winscher was officially named Chief of Police. Under Chief Winscher’s tenure, the department utilized a small office in the Village Garage. Then, in 1980 the department moved into the former Library, a small wood and stone frame building with four offices. Chief Winscher introduced the first Police canine unit to the Village of Elkhart Lake. In 1990 Chief Winscher resigned for another position. Former Sheboygan County Sheriff’s Deputy, Randy Boeldt, was hired as chief in 1990. He too, arrived with a canine unit, utilizing the drug-sniffing dog “Beau” until his sudden death in 1994. The community and department expanded in the 90’s, with Officer Bill Klaetsch who was hired in 1991, and Officer Scott Niemi hired in 1997. In 1999 the Police Department moved again to its present location above the newly expanded Library. In 2008 Officer Klaetsch retired from the department and was replaced by Officer Michael Meeusen, a part-time officer since 2006. On December 31, 2012 Chief Randy Boeldt retired from the department after 22 1/2 years of service. After Chief Boeldt’s retirement Officer Michael Meeusen was promoted to Chief of Police. Chief Meeusen still serves in that capacity today. The department continues today with three full-time and approximately nine part-time seasonal employees providing law enforcement services on both land and water. See the most recent posts from our Elkhart Lake Police Department Facebook page. On March 31, 2019 the Elkhart Lake Police Department ended its contract with the Village of Howards Grove for policing services. Our contract with the Howards Grove School District will stay in place until the end of the school year. Any active cases that we currently have in the court process will continue but if you have any new concerns please contact the Village of Howards Grove with what to do. We need the contract with Elkhart resigned. Was it Elkhart that did not want to sign or Howard's that refused it? 32 and 42 are racetracks through Howards. Whoever will be our new president in Howards, please address. Elkhart Lake Police Department shared a post. The man appears to be disoriented and cannot communicate with officers.